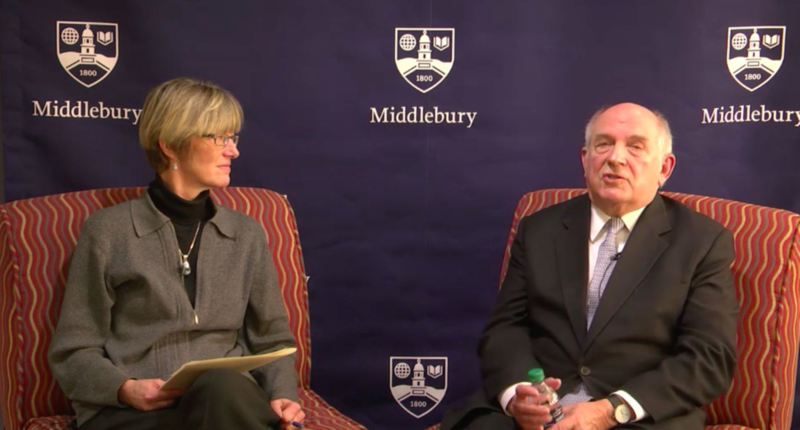 Middlebury College has disciplined 67 students after its investigation into the disruption of a March 2 lecture by controversial author Charles Murray, the school announced Tuesday. The sanctions range "from probation to official college discipline, which places a permanent record in the student's file," the school said in a statement. Murray attempted to lecture in the McCullough Student Center about his 2012 book, Coming Apart. Murray is better known for his 1994 book, The Bell Curve, which sought to correlate social inequality to genetics. The Southern Poverty Law Center has labeled his work "racist pseudoscience." Students in the crowd jeered and shouted down Murray as he tried to speak. After 20 minutes, he and Professor Allison Stanger, who had signed on to moderate the talk, moved to a private room and live-streamed their discussion. When they later tried to leave the building, a group of students and others from outside the campus community were waiting. The violent "mob," as Middlebury vice president for communications Bill Burger called it, then yelled, screamed and attacked Stanger and Murray. Burger eventually whisked Stanger and Murray away in a car after the group surrounded the vehicle and threw a stop sign in front of it. Stanger later recounted in a Facebook post that she "feared for my life." Middlebury Police on Tuesday said that no one will be charged with a crime stemming from the incident "due to insufficient evidence against any specific individual." A total of eight masked people — among more than 20 people in the crowd — used "tactics that indicated training in obstruction and intimidation," police said. A violent "mob" attacked controversial author Charles Murray and a Middlebury College professor as they left a campus building Thursday night following a chaotic attempt at a lecture, a college spokesman said.